When most people refer to modern desert décor, they refer to the American southwest—the arid landscapes of Joshua Tree, the vast canyons of Arizona, the large drylands of New Mexico. But modern desert décor is much more than just American. 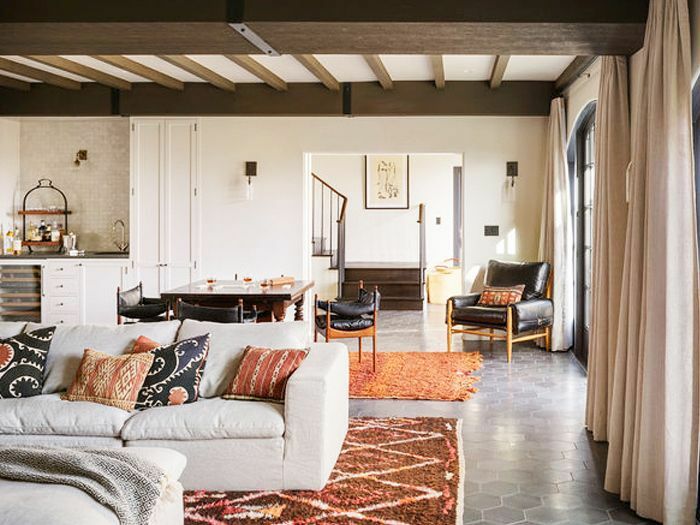 Borrowing, of course, from Native American and Mexican influences—with Navajo patterns, aged leather, and cowhides—the style is also influenced by many other desert communities around the world: Morocco, Chile, Turkey, Colombia. The result is a warm and worldly look filled with clean lines, desert-hues, and influences from around the globe. How exactly do you get the modern desert décor look in your home? Start with rustic materials like worn leather, cowhide, and wood, but keep the furniture lines simple. Infuse your space with warm hues like ochre, tan, sand, and even bright pink, orange, or red, but stay away from blues and greens. 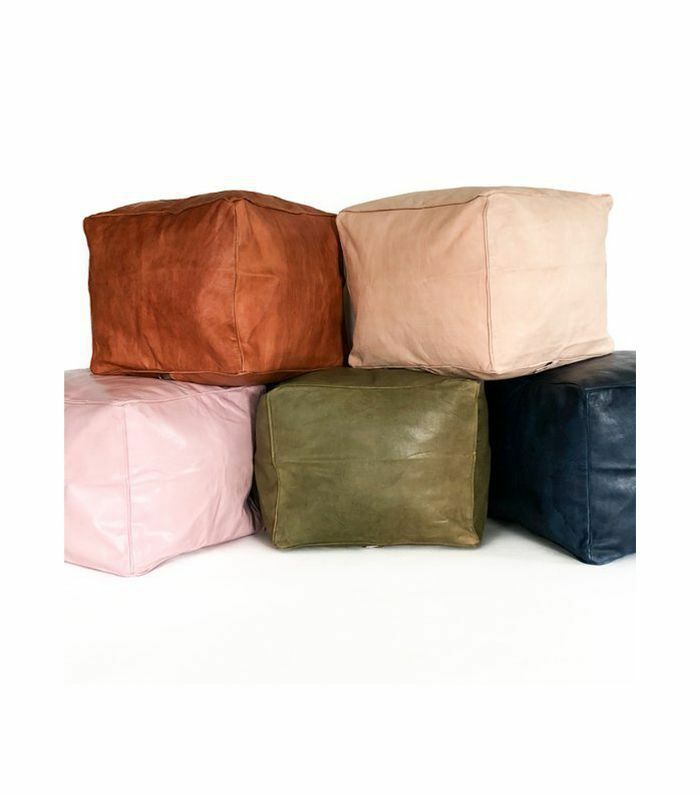 Add in worldly influences like Moroccan poufs, Turkish kilim pillows, Mexican serapes, and Colombian blankets. To help you get started, we selected some of our favorite modern desert décor picks. 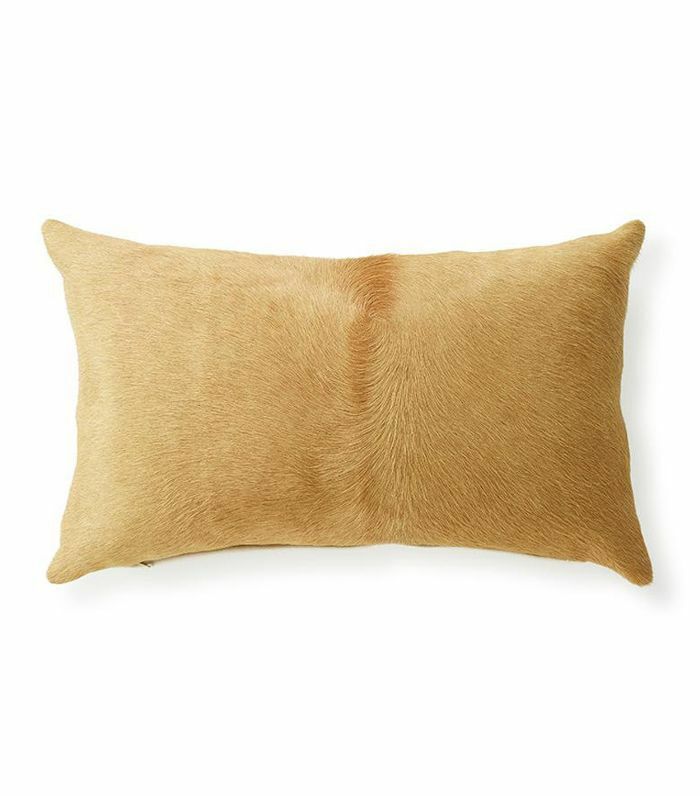 Cowhides are also a staple of modern desert décor, but instead of a traditional black-and-white rug, try a golden-hued lumbar pillow instead. Terra-cotta is omnipresent in the desert, so adding a few accents of the material will make your space feel instantly more desert-like. 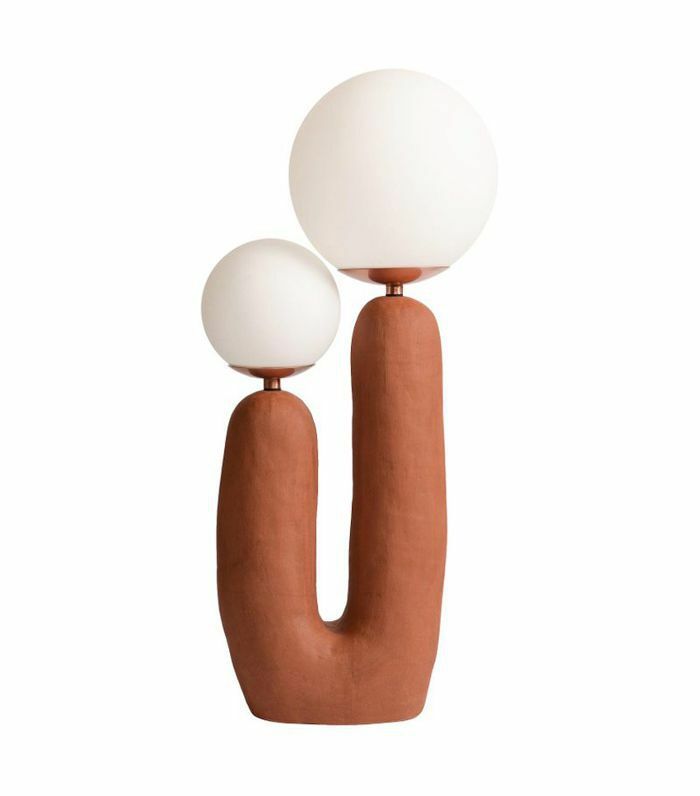 This lamp by Eny Lee Parker is ideal for its organic modern shape. 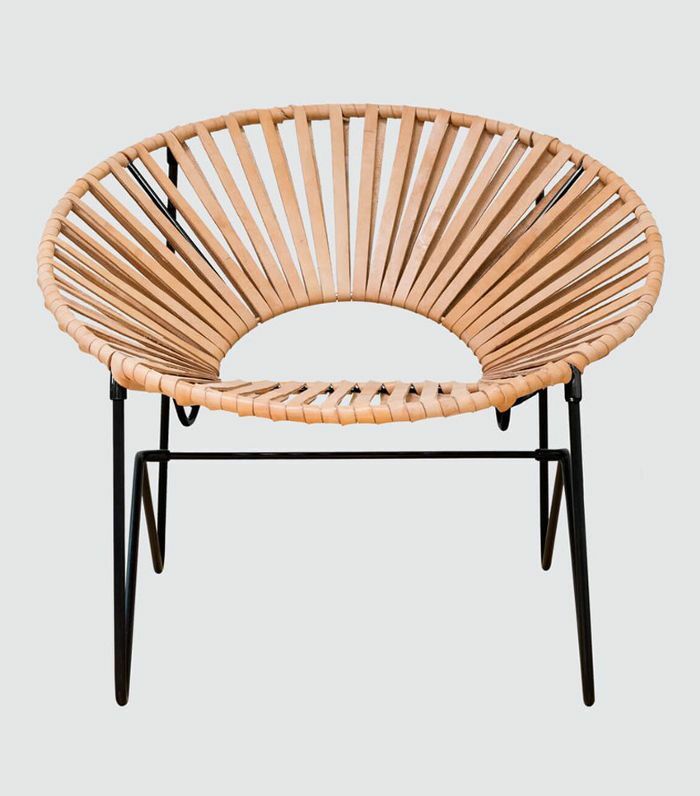 This chair is quintessentially modern desert décor. Its Peruvian textile and leather straps are ideal for the look. 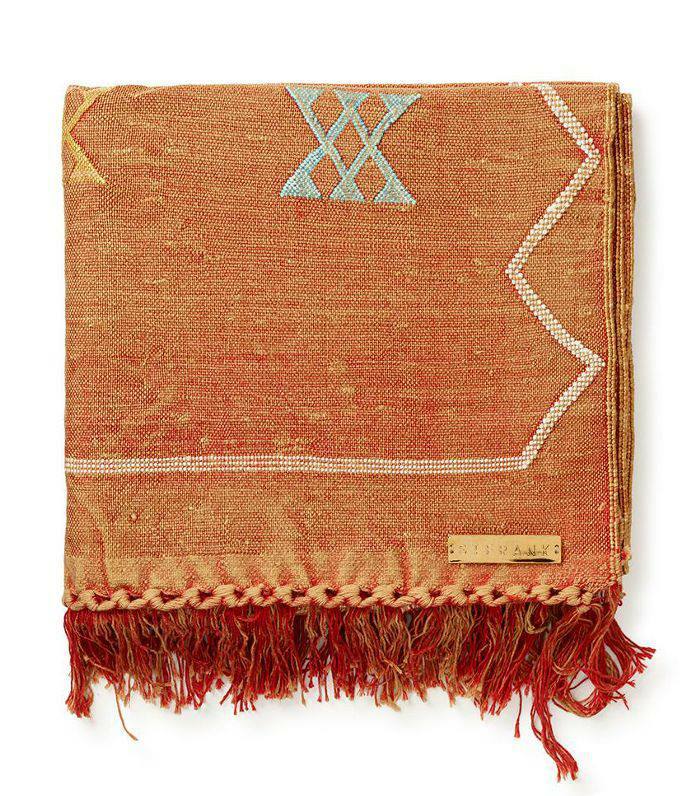 Though this runner is technically Moroccan, the warm orange hues would fit perfectly in a modern desert décor, which tends to adopt a worldly aesthetic. Not to mention there are deserts in Morocco too. Infusing your space with cognac-hued leather will help give your space that desired desert look, but it can be tricky to get right. 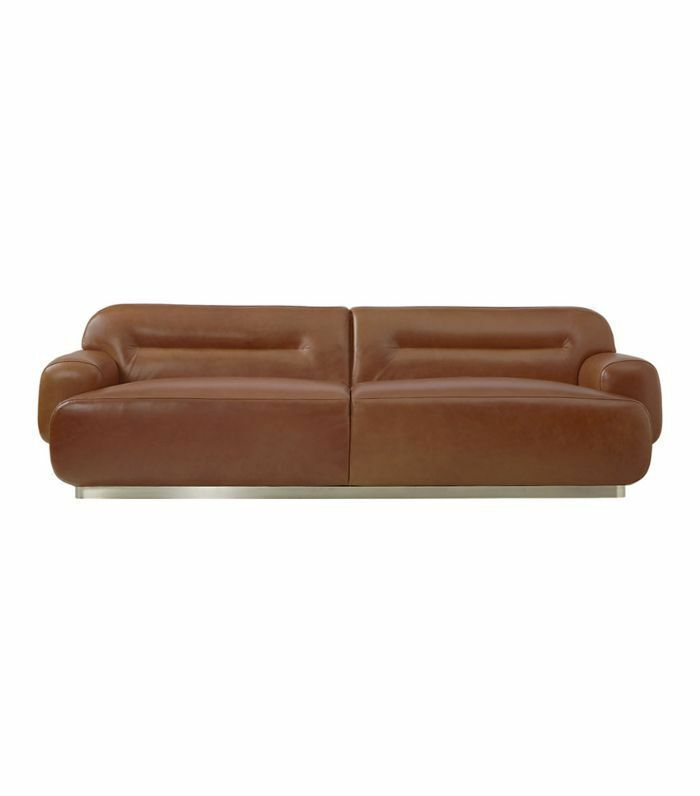 A sofa in a weighty modern style will make the space feel modern, not dated. 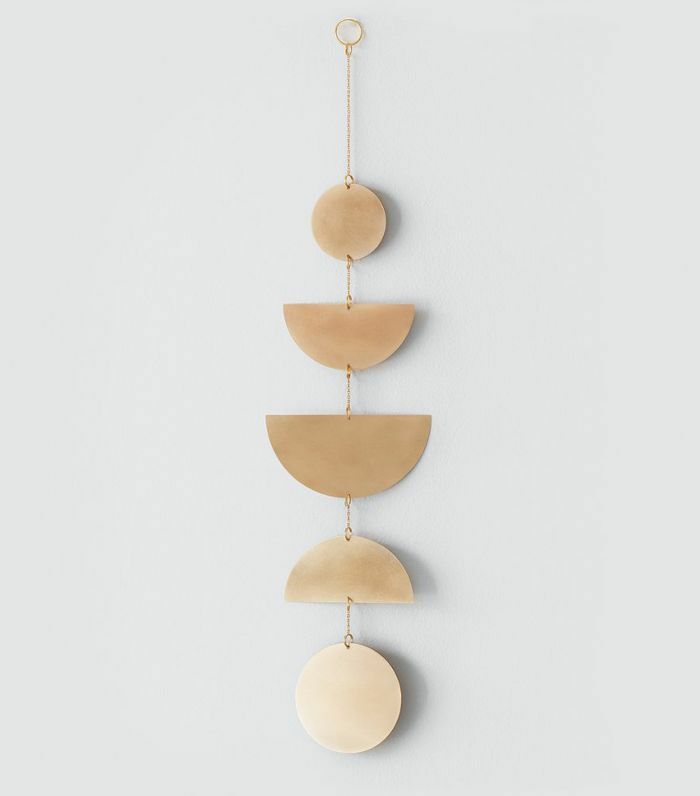 Add a Chilean brass chime or wall hanging to your space to give it that worldly minimalistic feel. 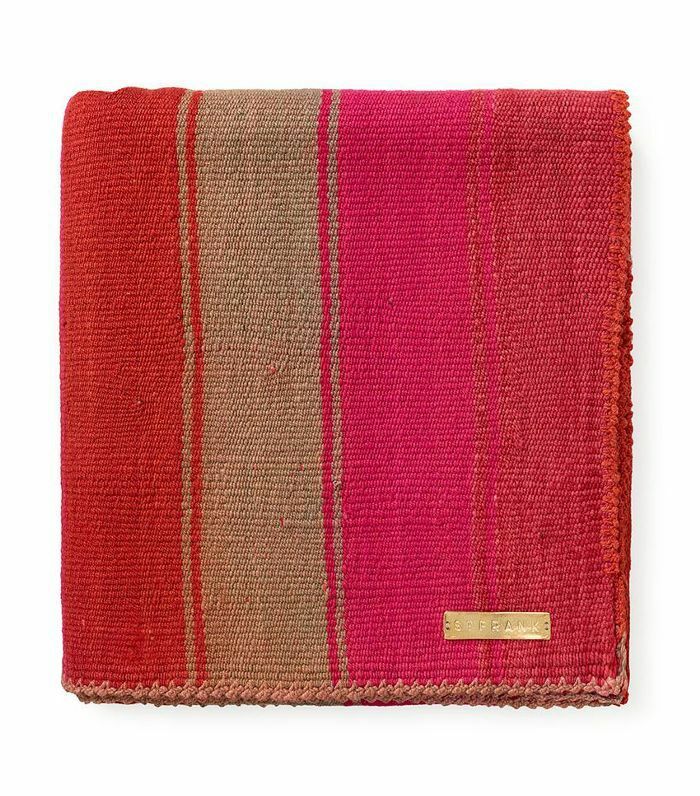 This bright Frazada blanket hails from a Colombian tradition, but they are the perfect colors to complement a modern desert décor. Adding smaller leather accents, particularly in that pink sand color, will give your space a laid-back modern desert style. 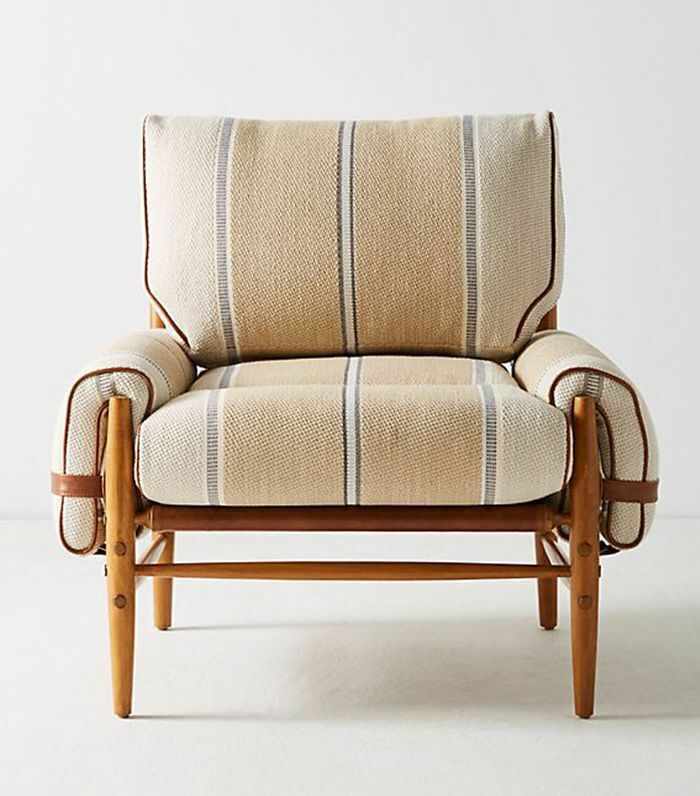 This slightly retro Acapulco chair was handcrafted in Mexico with tan leather strips, bringing elegance to the classic resort style. Ralph Lauren has a long history of perfecting the Wild West aesthetic, borrowing Navajo patterns from native Americans. 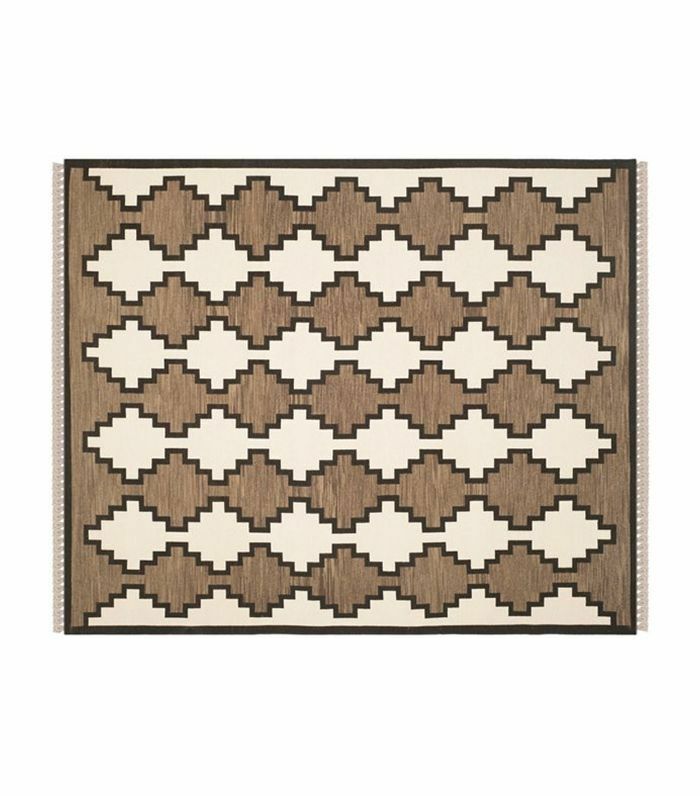 This rug is quintessentially Ralph Lauren desert chic. 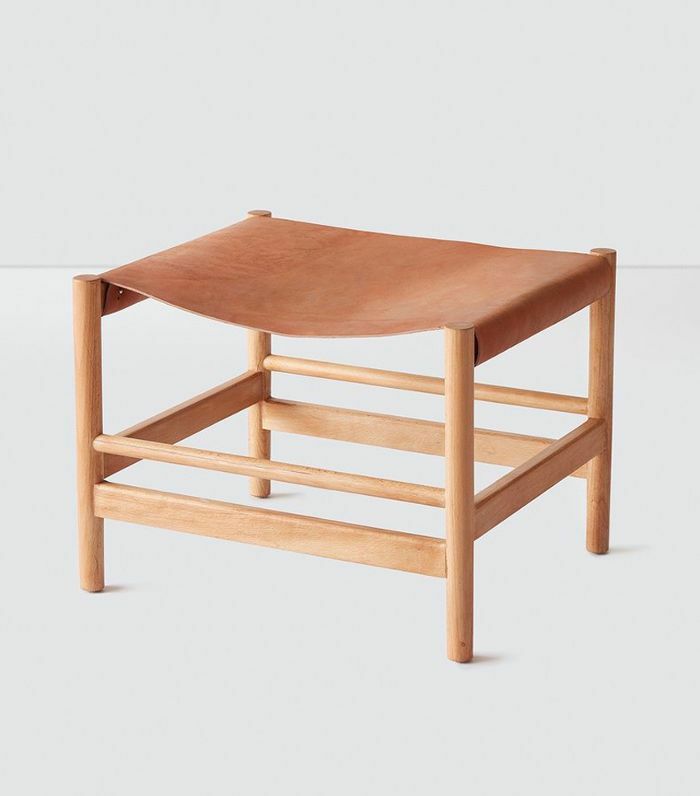 This stylish bench designed in Mexico City is the perfect small leather accent to add to your modern desert décor. 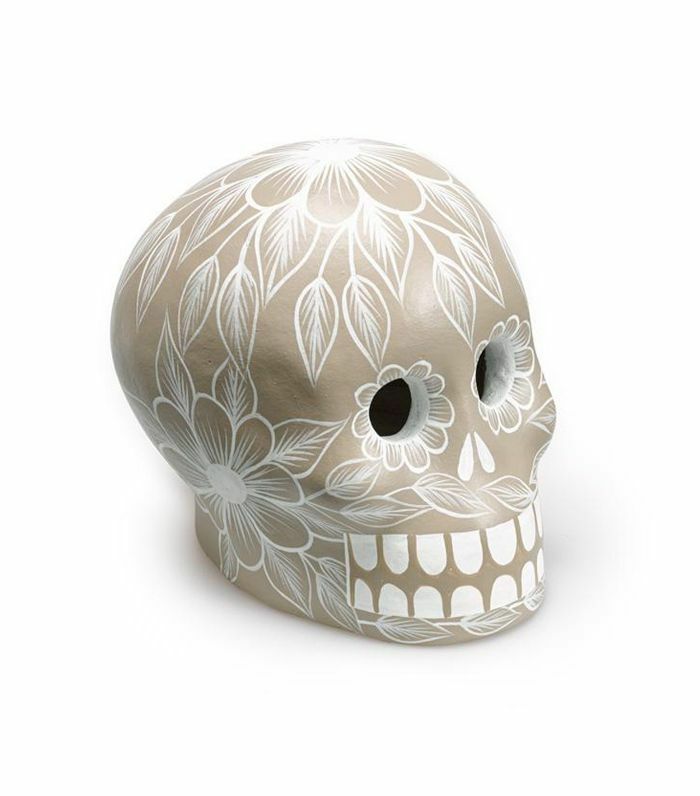 Give your décor a whimsical Mexican flair with this Day of the Dead skull by St. Frank. 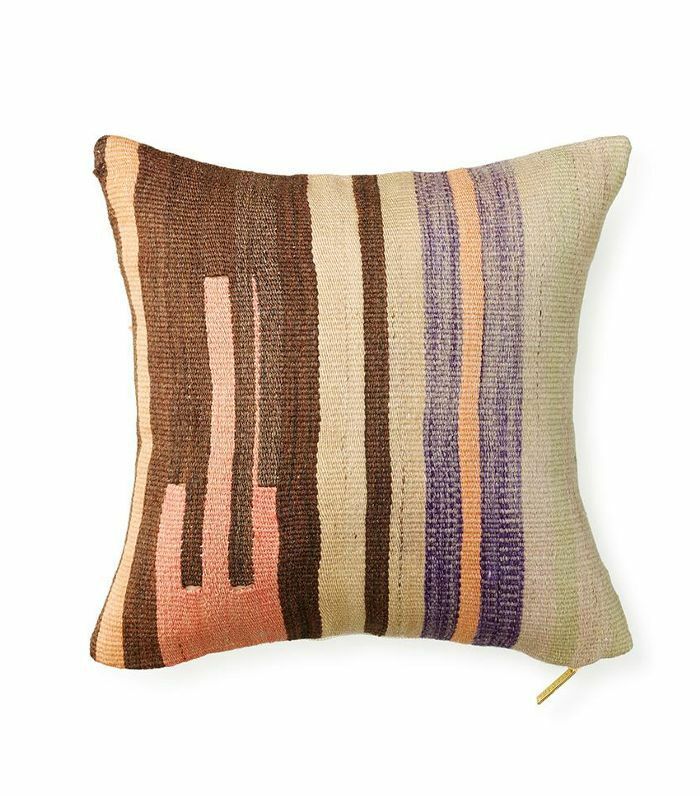 This Turkish kilim pillow originates from the tribal and nomadic cultures of Anatolia but would look great against a white linen sofa in a modern desert décor. 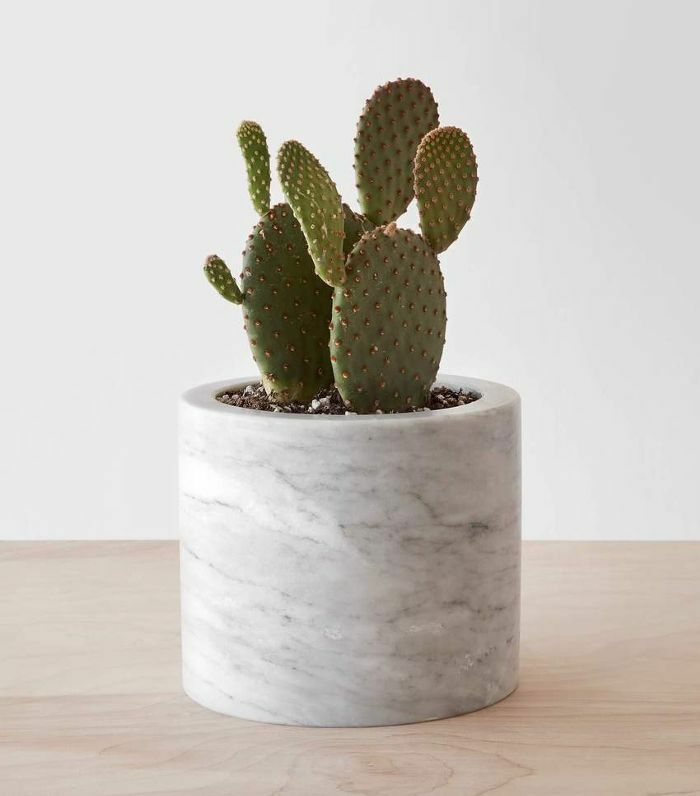 Finish off your space with a healthy dose of cacti and succulents in pretty minimal marble or terra-cotta vessels.